I regularly use this app during my practice and rely on it. I am finding it very frustrating though. Today I left it in the background and it used half of my battery on my iPhone X. I will happily give a better review when this issue is addressed. If you use this, remember to kill it when you are done or suffer with a dead battery later. This was an issue as I am on call. All the icons are jumbled on the home screen on my iPhone X - love this app otherwise! As an SRNA I love this app. I had a CRNA initially pay for my app as well as 3 other students’ at a MOANA conference (thank you sir!). 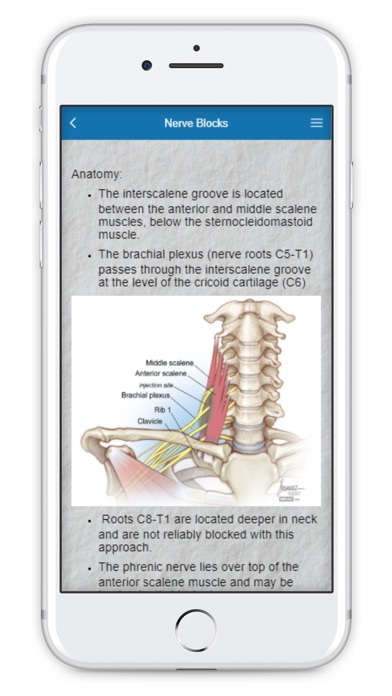 The app just keeps getting better and better and is a top resource for me in clinical. I recently had a glitch on my new iPhone and new iOS update that rendered me Block Buddy-less. The developers of block Buddy were QUICK to help me (I’m talking within the hour) and made things right for me. 5 stars!!!! Constantly updated with the latest blocks and techniques. Pictures and video included. Quick and easy to use. Highly recommended. Update: This app is fantastic, except for one flaw. All pictures and videos are now stored on a server instead of on your device. My hospital, as well as others that I know of, block this data so the app is practically useless while I'm at work. Please let us at least have the option to download all data to our devices. 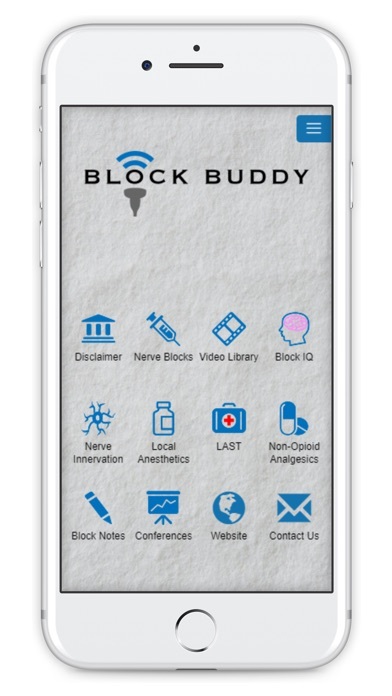 Even though I have been a CRNA for awhile, I find myself frequently checking my block buddy app to improve my regional technique. It is easy to use, concise, and the illustrations are wonderful. Great product. Use this all the time. Great info. Great pics. Priceless. 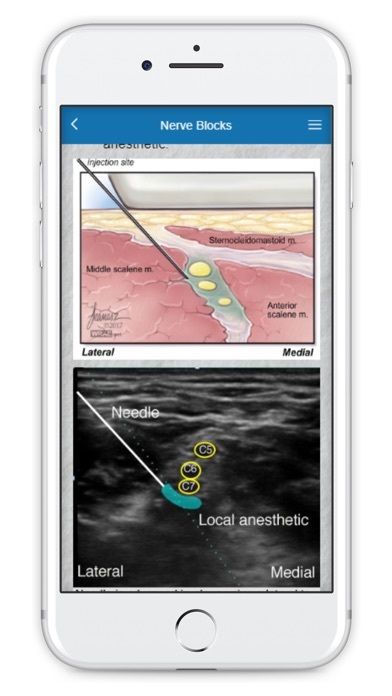 This is hands down the best app in anesthesia! There is a huge amount of information as well as being easy use. It's a must have for people new to blocks and it is great for a quick review of those blocks you don't do too often. Highly recommend!